1L5Z-3504-RM, 1L5Z3504RM. FORD EXPLORER -à partir de 2002. Vase d'huile Direction Assistée BMW MINI Série 1, 3, 5, 6, 7 X3 X5 Z3 Z4 141426. De 8H à 16H. Ou trouver la référence OEM de ma pièce ?. Il y en a aussi une dans le carnet d'entretien de la voiture sur la 1ère page. That is the task of this NTK exhaust gas temperature sensor. NTK currently provides 35% of all exhaust gas temperature sensors in the world. Other than that, there isn't really such a thing as a diesel engine oil as the vast majority of oils are suitable for both petrol and diesel engines, regardless of how they are marketed. Ford Focus II Turnier DA_ (2004-2012). Ford Focus II Turnier DA_, FFS (2004-2011). FENSTERHEBER KOMPLETT. Getriebe Typ B5/IB5. 1 Sensor (Ohne Kabel). FENSTERHEBER TEILE. Passend für folgende Modelle. Ford Focus II DA_ (2004-2012). Référence équivalente : 6758585. X2 Flexible de Frein arrière. Ford Mondeo 93 (01/93-07/96). FORD : 93BB-2282-AA, 6758585,93BB2282AA. Mondeo 93 (01/93-07/96). Le code 1KP par exemple correspond aux disques de frein arrière. 1370437, 1377907. FORD : 1 370 437, 1 377 907, 1370437, 1377907. Moyeu de roue Avant. FORD USA : 6C112B663AA, 6C111K018AA. Côté d'assemblage: Essieu avant. De 8H à 16H. Il y en a aussi une dans le carnet d'entretien de la voiture sur la 1ère page. Référence équivalente : 1129986. MGA : 1129986, 861. FORD Cougar 99 (08/98-01/01) Mondeo 93 (01/93-07/96) Mondeo 97 (08/96-09/00). Cougar 99 (08/98-01/01). FORD : 1500668, 1088938, 1204852, 1089400, XS7Z-2200-AA, XS7Z2200AA, XS7J2M008BA, XS7Z-2200-BA. MPN - CS1300. FORD MONDEO IV Saloon (BA7) 1.6 03/2007 01/2015. FORD MONDEO IV (BA7) 1.6 03/2007 01/2015. FORD MONDEO IV Turnier (BA7) 1.6 03/2007 01/2015. FORD FIESTA V (JH_, JD_) 1.3 11/2001 03/2010. Here is a vacuum / breather pipe adaptor from the air plenum chamber on the top of a Capri 2.8i V6 cologne engine. Original Cologne V6 engine Capri item and may fit other models aswell. Los códigos de la parte: 1S7FGC315AD. MPN 1S7FGC315AD. Manufacturer Part Number 1S7FGC315AD. Other part codes 1S7FGC315AD. Energía: 92KW, 1800cc. A continuación puede encontrar una traducción automática al español. NUEVA entrada múltiple FORD tránsito MK7 2006-2013 2.4 1236707 3C1Q-9424-BB. Interchange Part Number 1236707. Part Manufacturer Number 1236707. Reference OE/OEM Number 1236707. MPN 1236707. Manufacturer Part Number 1236707. 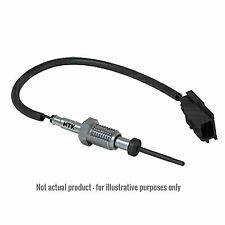 Genuine Ford sensor de pulso del cigüeñal/velocidad del motor-Mondeo etc. The part is used on many vehicles and not just the Mondeo. This is listed by Ford for the 5speed Mondeo 1/2/2002 onwards. 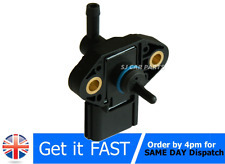 Crankshaft pulse sensor/output shaft speed. Genuine Ford part. REMOVED FROM 2008 MODEL. we test all car parts before removing them for sale. to help you with order. 2006 ON MK7. INLET INTAKE MANIFOLD. Main Bearings. Window Switches. YOUR REG DETAILS OR VIN/CHASSIS NUMBER. Door Runners & Rollers. DIESEL DURATORQ. Bumper Trims. Nockenwellensensor Impulsgeber Sensor Nockenwellenposition. Ford Originalteile. FORD BB5Z1104A. FORD USA EXPLORER. Moyeu de roue Avant. FORD BB53-2C300-AC. FORD BB53-2C300-AD. Côté d'assemblage: Essieu avant. De 8H à 16H. Il y en a aussi une dans le carnet d'entretien de la voiture sur la 1ère page. Part No.1766910. Genuine Ford part. Ford Fiesta With front disc/rear drum (low speed safety system) 05/11/2012. Rear speed sensorto fit the following vehicle ranges. WITH MANUAL GEAR BOX. Box scruffy but genuine, new and unused (not pattern rubbish!). Here is a mounting plate and air pipe elbow for the cold start valve (7th injector) from the side of the air plenum chamber on the top of a Capri 2.8i V6 cologne engine. Original Cologne V6 engine Capri item and may fit other models aswell. Ford Teile-Nr. Sehr guter Zustand. Das Teil wurde vor dem Ausbau auf Funktion geprüft und getestet, ist voll funktionstüchtig. Original Ford Teil, kein billiger Nachbau. 0179-4016730 erreichen. Alle Angaben ohne Gewähr. FOCUS 2014 -2018 Mk3 facelift Alarm Sensor. Make / Model:FORD FOCUS. Trim:TITANIUM TDCI. CHECK AND CLEAN ALL INLET AND OUTLET HOSES. Any part tampered with or taken apart will invalidate warranty. Seals, gaskets, timing belts and chains are not covered by warranty.